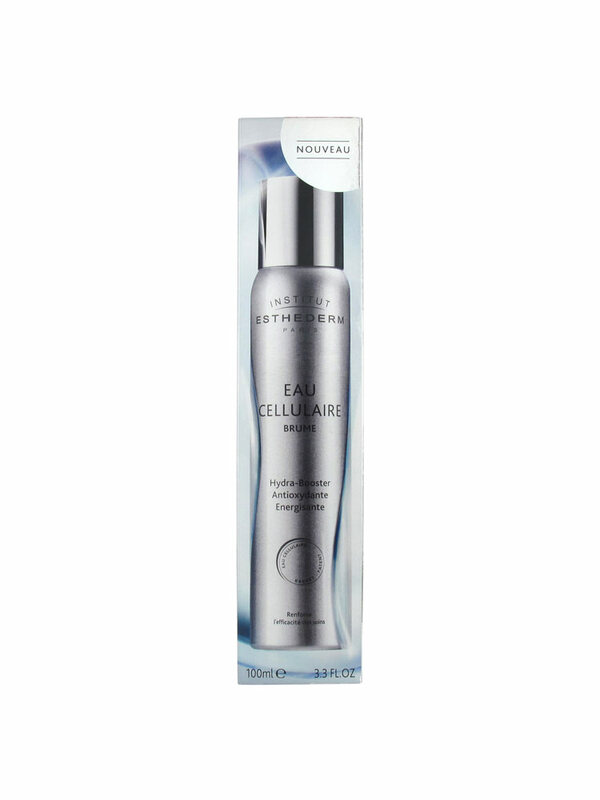 Institut Esthederm Eau Cellulaire Mist 100ml is a mist of care, close to the water of the skin, which ensures vitality and quality of life to the skin, for all skins, even sensitive. Unique and patented, the Cellular Water is at the heart of all Esthederm formulas. It is in perfect osmosis with the cells, and optimizes their vitality. The Cellular Water is a source of energy, of cellular vitality and resistance to aging factors. After application, the benefits are immediate: the skin is fresh and comfortable. Day after day, the skin regains radiance, vitality and hydration. From the first application, it brings an effect of freshness and immediate comfort. After 6 hours, cellular energy is boosted for energized skin. Day after day, your skin defends itself better against daily aggressions that accelerate the signs of aging. Mist on the face and body and make penetrate by gentle plating. Use before a care, after makeup to fix it, or at any time of the day. Indication: To ensure quality of life and vitality to the skin. * Cellular Water (Aqua/disodium Adenosine Triphosphate/Carnosine/Mineral Salts).